I love the Lion King Musical, and I loved making Scar. I just couldn't help myself, I decided I HAVE to make a Lioness as well. 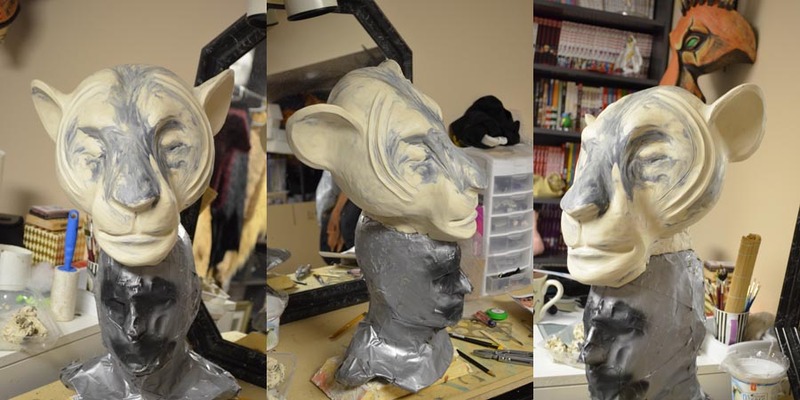 I've started sculpting a headdress for a Lion King Musical Lioness.... I still need to do some smoothing and add the markings, but I was mostly concerned at getting the shape down first. 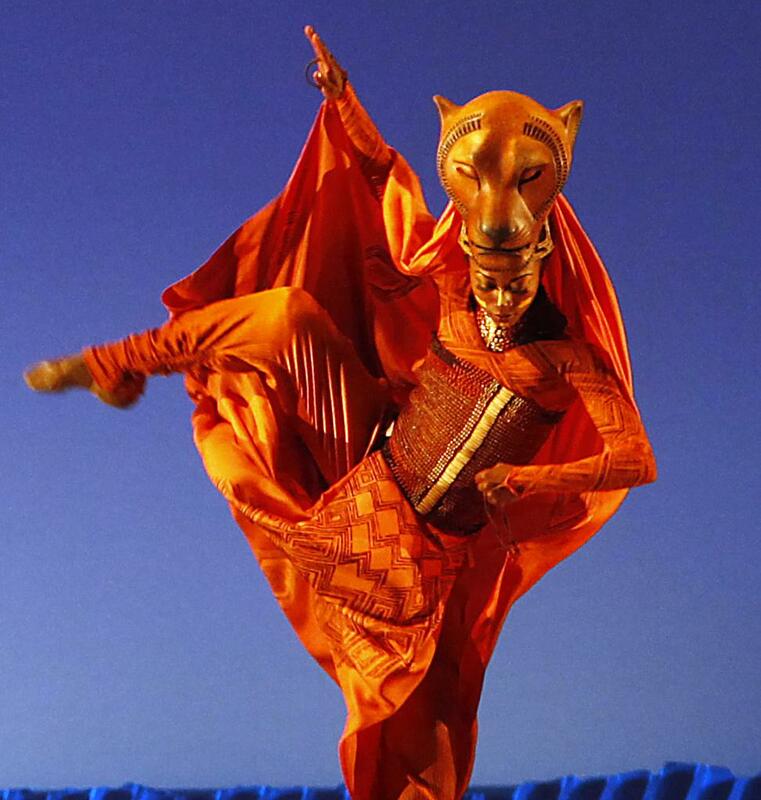 There are two different kinds of lioness heads in the show (well 3 if you count Nala), the singers and the dancers. The singer heads are a full head which rests on the actor's head like an african headdress. This is a dancer head, it's smaller than the singer heads as it needs to be light and easy to move in for dancing. The costumes are slightly different as well for the same reason. The Dancer heads also do not "cry" like the singer heads do (I was awful tempted to add the cry feature, but I would like to go for accuracy at this point. More progress to come. I have thousands of beads bought on ebay making their way through the mail for the corset (FFFfffff! there are literally THOUSANDS of beads on those corsets... I'm going to be busy for a long while sewing those on!). I also purchased some silk for the drape on the back of the neck. Yes, 100% silk.... darn broadway, you couldn't go with a cheaper fabric huh? I do like how that one photo shows a glimpse of Scar in the background :3 He keeps me motivated.